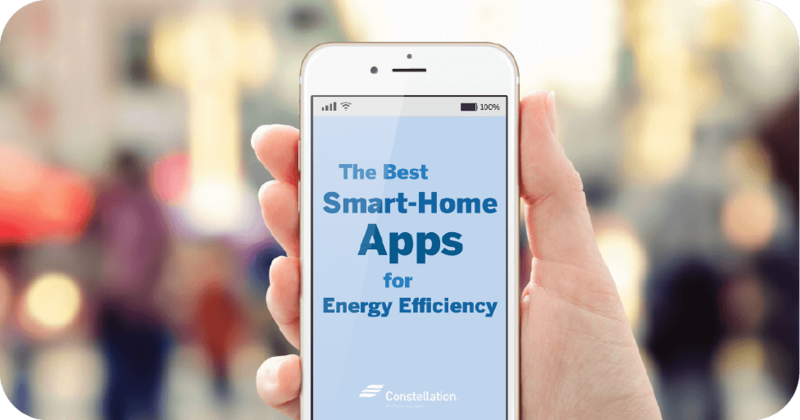 With a large part of household budgets devoted to heating, nearly everyone is looking to get the most bang for their energy bucks. The good news is that radiant floor heating might be the answer to your energy cost concerns. It’s energy efficient and provides, some experts say, a more comfortable, consistent heat source. Once thought to be something only those who might appear on home improvement shows — heated floors in bathrooms, anyone? — could afford, radiant floor heating, in fact, is more accessible and affordable than many people realize. It’s easiest to include radiant floor heating when a house is being built, but it can be installed in older homes as well. Don’t know the difference between hydronic radiant heat flooring and electric radiant heat flooring? 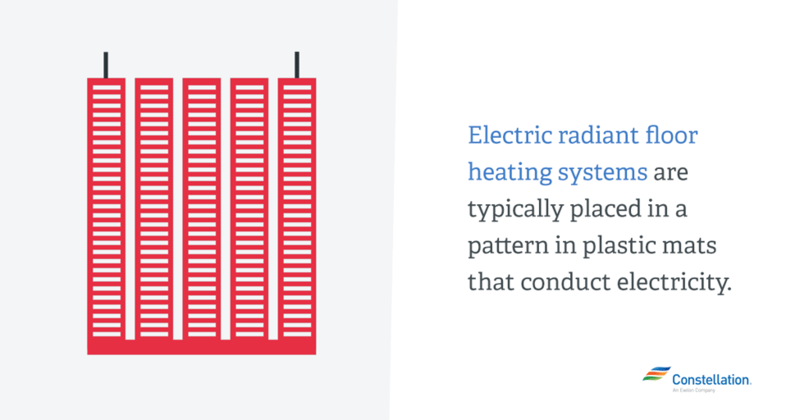 Want to know more about radiant heat energy efficiency? Read on. 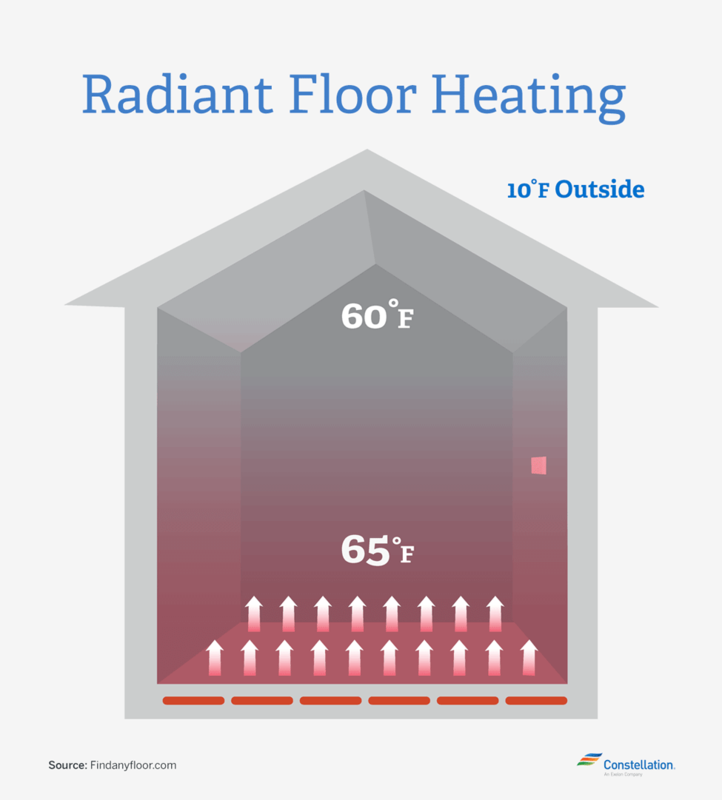 We’re here to help you understand how radiant floor heat works and whether it’s right for your home. Unlike forced hot air heating in which the heat is blown into a room through baseboards or vents, radiant floor heating radiates from the floor itself. (Sometimes, radiant heating is placed in wall panels or even ceilings, but it’s more commonly used in floors.) The floor is heated, and then the heat rises. In other words, the heat goes exactly where you are, starting with toasty warm feet, rather than out into the room and up to the ceiling. How Does Radiant Floor Heat Work? Radiant floor heating systems rely on radiant heat rather than convection heat. The heat is delivered directly from the hot surface via infrared radiation. In radiant heat flooring systems, the heat is found in coils that lie under the flooring. Heat passes through the coils (either through electricity or heated water) and then warms the flooring directly above it. Forced hot air basically operates on what Vila calls a yo-yo effect. This happens when hot air is blown randomly into a room, creating a brief warming spell that then quickly cools. That in turn creates a heating yo-yo cycle that results in adjusting your thermostat to whatever temperature is happening at the moment. In addition to providing less consistent heat, it’s a behavior that is, not coincidentally, less than energy efficient. Forced hot air heating also has something Vila calls parasitic heat loss. 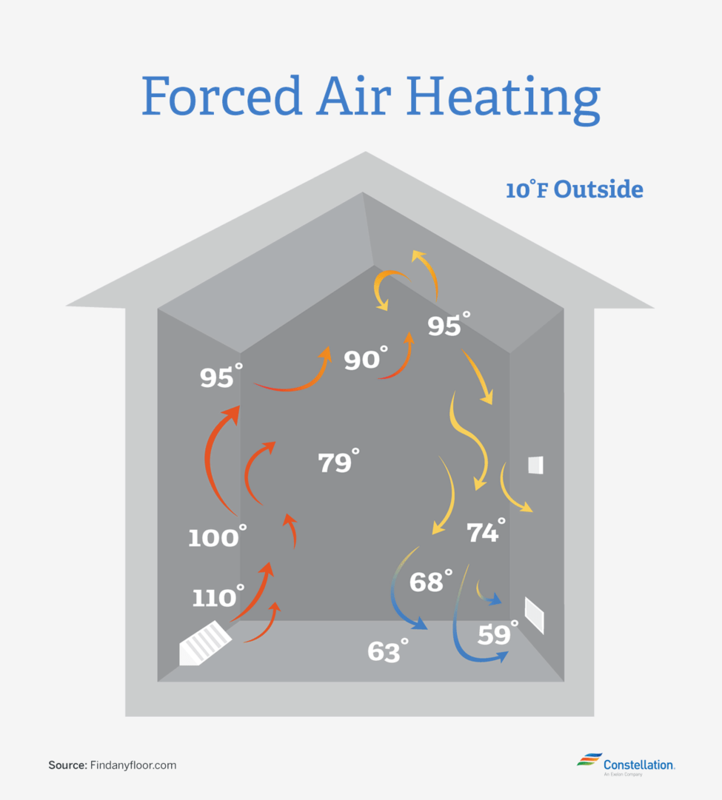 Heat travels through a bunch of ducts to get to the baseboard heater or vent in the room you’re heating. All those ducts and pipes can develop small openings or leaks where the heat can migrate on its way to your intended room. 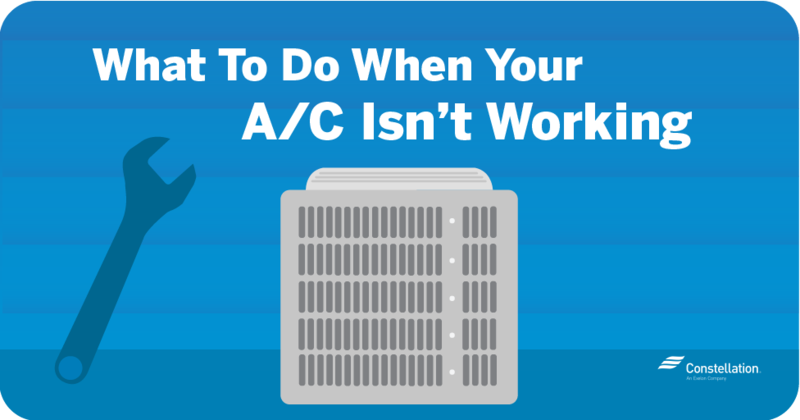 This means your system is pumping out more energy than it needs to try to hit the intended warmth level on your thermostat. Stratification is another forced hot air heating issue, Vila states. As air is randomly pumped through grates in the ceiling (where most of it stays) or through vents in the floor, it quickly rises to the ceiling. As a result, the top of your room (where no one spends time) is warmer — sometimes as much as 10 degrees warmer, Vila notes — than the actual living space you’re trying to heat. Because of this you keep turning up the thermostat in the part of the room where you’re spending time. What Are the Types of Radiant Heat Flooring Systems? Radiant heat flooring is, as the name indicates, in the floor. There are differences, though, in the types of radiant heat flooring systems. Here’s what you need to know about the two most common types. Hydronic radiant floor heating: Energy.gov calls this the most popular and cost-effective form of radiant heat flooring. In hydronic radiant floor heating systems, heated water is pumped from a boiler through tubing that is laid in a pattern under the floor. Some systems control the hot water flow through the tubing by using zoning valves or pumps. Thermostats regulate the room temperatures. Electric radiant floor heating: Radiant floor heating systems like this feature electric cables that are built into the subfloor. Typically, these are placed in a pattern in some kind of plastic matting beneath the floor that conducts electricity. Energy.gov says this type of radiant heat flooring is often used for additions since its reliance on electricity can make large-scale use cost-prohibitive unless your electricity utility (that’s the company that handles getting your electricity) offers the option of time-of-use rates. Under this scenario, Energy.gov notes, you could charge the concrete floor with heat during off-peak hours (often from 9 p.m.-6 a.m.). The floor stores the heat, which in turn keeps you comfortable without drawing on electricity during the day. 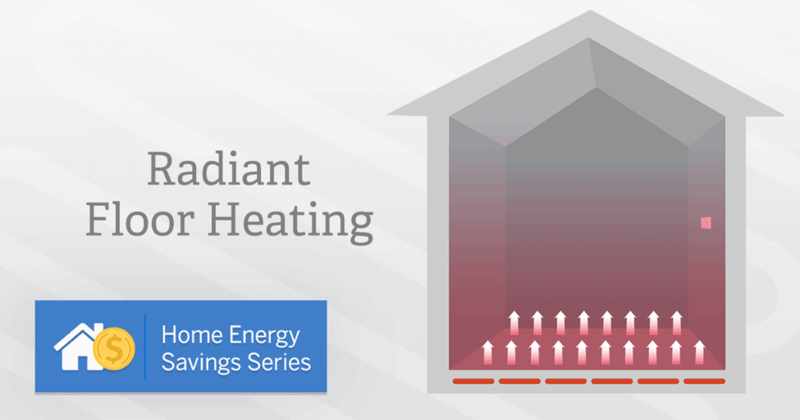 This potential cost is one reason electric radiant floor heating is often found in smaller spaces, such as heated floors in bathrooms. The system is hidden in the floor. There are no visible radiators or vents. Radiant floor heating systems are mostly silent. The system kicks in without the noise associated with forced hot air systems. Radiant heating reduces allergens. No forced hot air means no blowing around of dust mites or other airborne particles that can hide in heating ducts. The heat is more continuous and even. Since the heat is not being blown in blasts, the heat source is consistent, which creates an overall more comfortable environment. 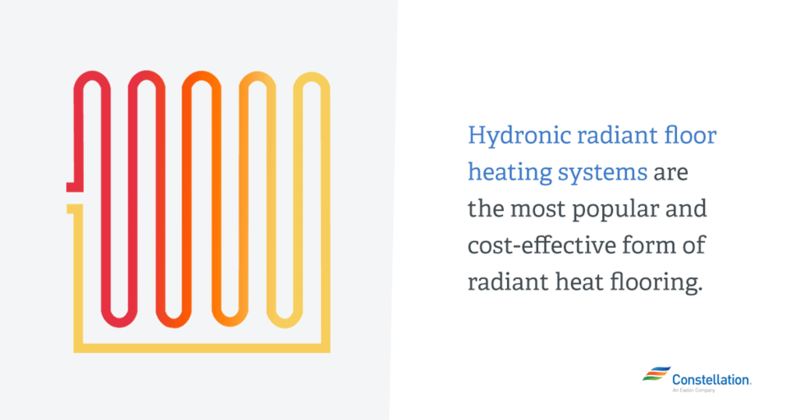 Radiant heat energy efficiency. Thanks to the way heat is moved into a room, studies suggest this type of flooring is potentially 30 percent more energy efficient than forced hot air heating systems, Vila observes. Cost of radiant floor heating: The most cost-effective option is to install it from the beginning — that is, if you’re building a house or adding on an addition that will require heating. To retrofit in an already-built structure, radiant floor heating could be installed in spots where tubing can be attached to the underside of a first-floor subfloor. If the floor is accessible from a basement or crawl space, the tubes could be installed that way. Vila quotes the price of installing electric radiant floor heating at about $6 per square foot for materials. Hydronic radiant floor heating costs more to install than forced hot air heating or baseboard radiators, Vila says, but the real savings come in the lower thermostat settings and higher efficiency as you operate the system. Retrofitting a hydronic radiant floor heating system is trickier because of the tubing requirements, but could be doable depending on access to the subfloor. Radiant heat flooring systems can take a while to fully warm the area. This could be an issue during biting cold snaps. This can be offset, however, by keeping the thermostat at a consistent level day and night so the system remains stable. There you have it — the basics about radiant heat energy efficiency and how installing radiant heat flooring might help in your home. We’ve got lots of other energy savings tips in our Home Energy Savings Series. 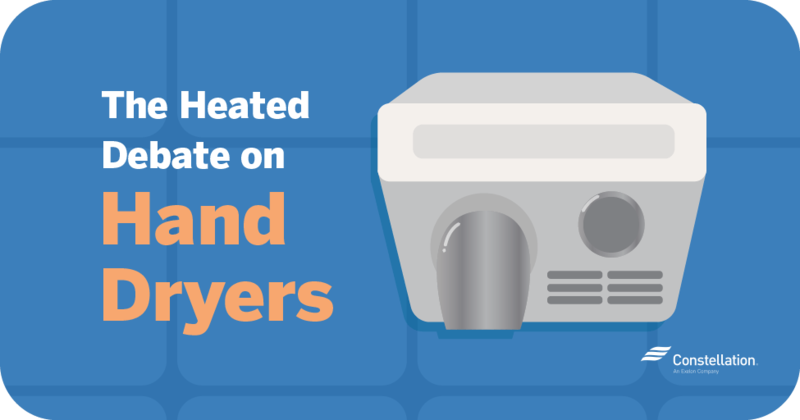 Learn more about everything from the differences between tankless vs. traditional water heaters to what you need to know about insulating your basement.